Marijuana will be legal in Canada this summer. While that’s a cause for celebration for many, it also presents a slue of logistical issues, from figuring out how provinces will handle regulations and sales, to whether those previously convicted of marijuana possession will gain amnesty. Even seemingly simple questions, like what day it will become legal, are complicated. 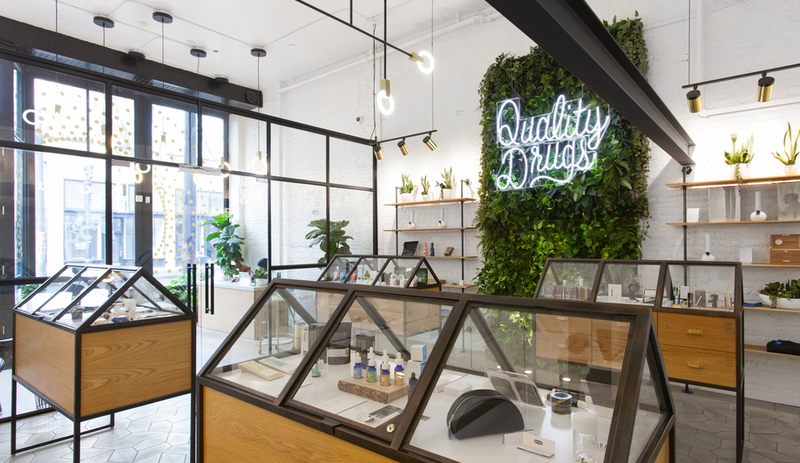 Nonetheless, weed’s progressive decriminalization has attracted an onslaught of novel retail design and entrepeneuralism, in Canada and in U.S. states where pot is already legal. In Austin, for instance, there is Catchtilly, an elevated, weed-focused general store. In L.A., Bruce Mau Design has come up with a monthly subscription service called Hi, aimed at demystifying marijuana to make it more accessible to more users. Marijuana-related interior design, too, has changed by leaps and bounds. The Bob Marley vibe of yesteryear has been usurped by a wave of customize stores that are part retail and part curated boutique. Here are a few that stand out. Serra is Italian for greenhouse, and for this new-ish shop, it’s a fitting name, given its light-filled location in Portland’s old town at 220 Southwest 1st Avenue. Customers enter a waiting area (where ID is checked) and then proceed through a glass partition. For the uninitiated walking by, the storefront shop could easily pass for a homewares boutique. 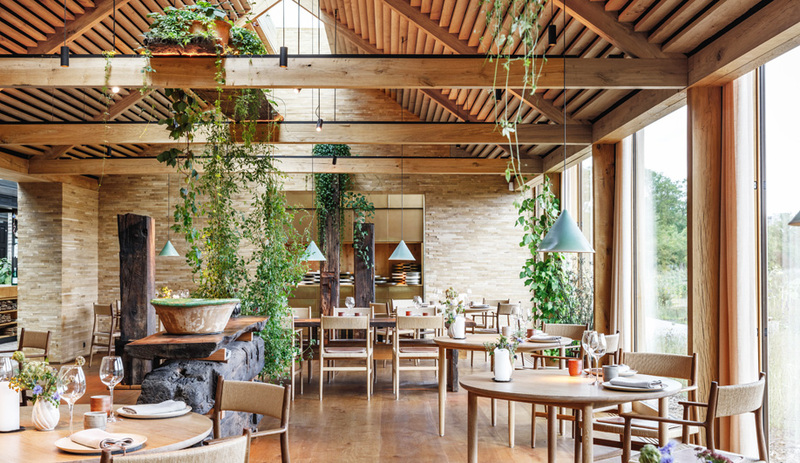 Designed by OMFGCO in partnership with local studio JHL, Serra plays up the greenhouse concept throughout. 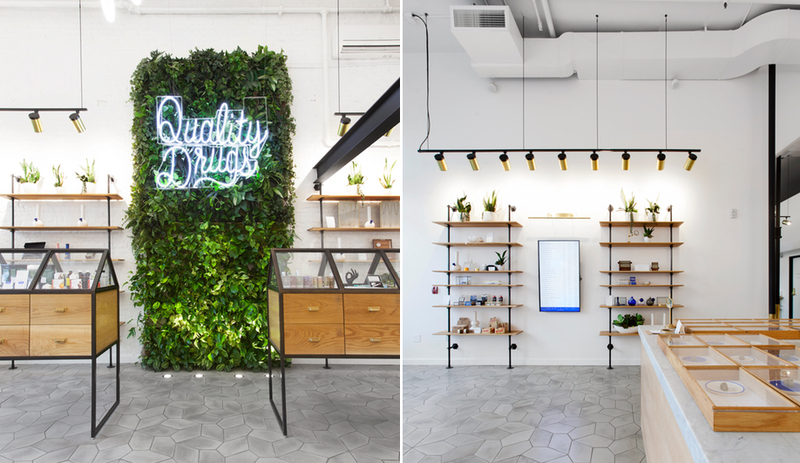 A living wall made by Ambius, for instance, bisects the retail floor and serves as a backdrop for the store’s mantra – quality drugs – which is emblazoned in neon. 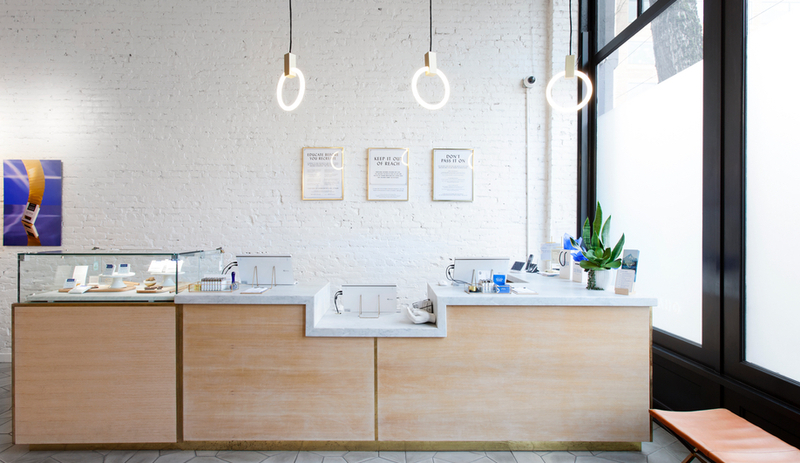 The interior is further illuminated with ring-shaped pendant lights by Matthew McCormick of Vancouver. 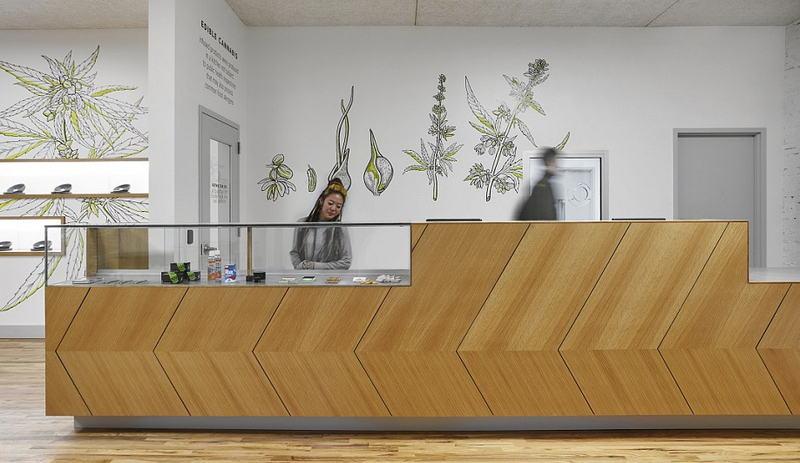 Serra sells a range of products, from flowers to tincture to edibles, and most of it is on display in vitrines created by Portland architectural hardware studio Quartertwenty, who also crafted the wall-mounted shelves for housing bongs, ceramics and other designer pot paraphernalia. 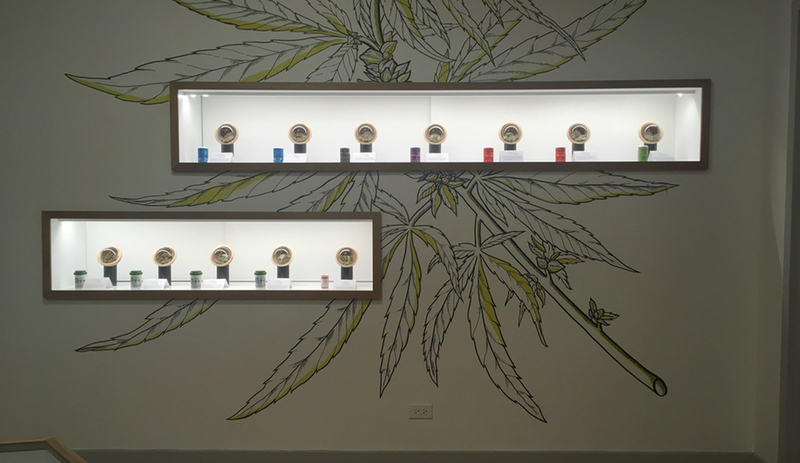 This retail shop, located at 5001 North Clark Street, bills itself as “Chicago’s most passionate dispensary.” Founded by entrepreneur Bryan Zises, the main focus here is to deliver medical marijuana in a comfortable environment. In response to that aim, local firm Perimeter Architects created a space that resembles a welcoming medical office. Airy and mostly white, the minimalist interior is defined by wall murals painted by Linsey Rosen and Make and Co. 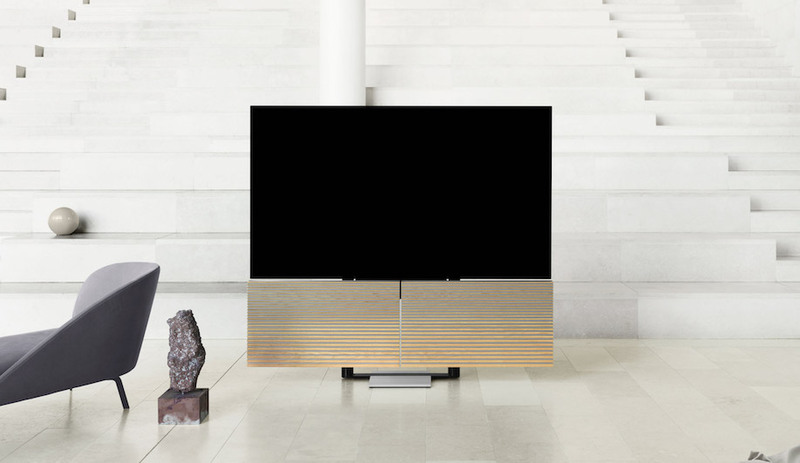 The custom furnishings are striped down to the basics, from a countertop made with rift-cut white oak to blackened steel and oak shelving, and freestanding display cases. Perimeter also developed bowls for presenting cannabis while keeping it fresh. According to Illinois state law, dispensaries are required to sell medical marijuana within a week of breaking the product’s seal. The ruling meant that Dispensary 33 was tossing a lot of product, losing upwards of $50,000 annually in the process. So Perimeter created a receptacle, made from a wood bowl and a custom glass dome, that uses a pressure-locking mechanism to reseal itself. The innovative packaging won an AIA Chicago Award in 2017. There is no shortage of weed shops in pot-loving Toronto. 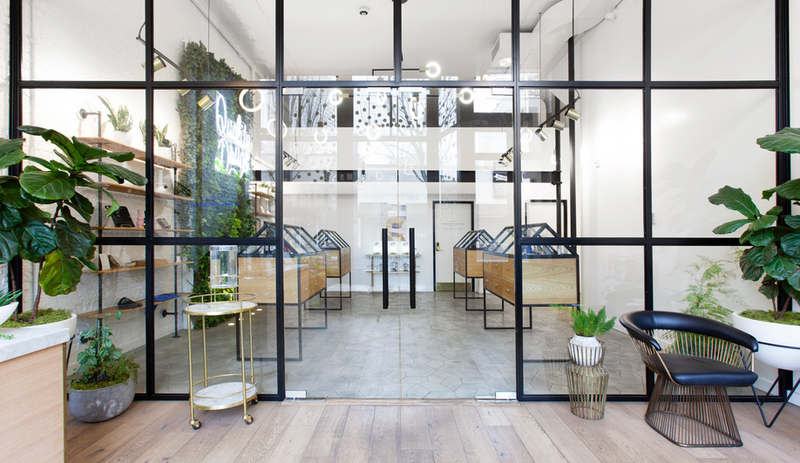 But the local brand that has been most effective in turning pot premium is Tokyo Smoke, now with five locations in the city, an outpost in Vancouver, and a forthcoming Seattle boutique. Created by ex-Google sales rep Alan Gertner, the weed / coffee brand has a hipster audience in mind. 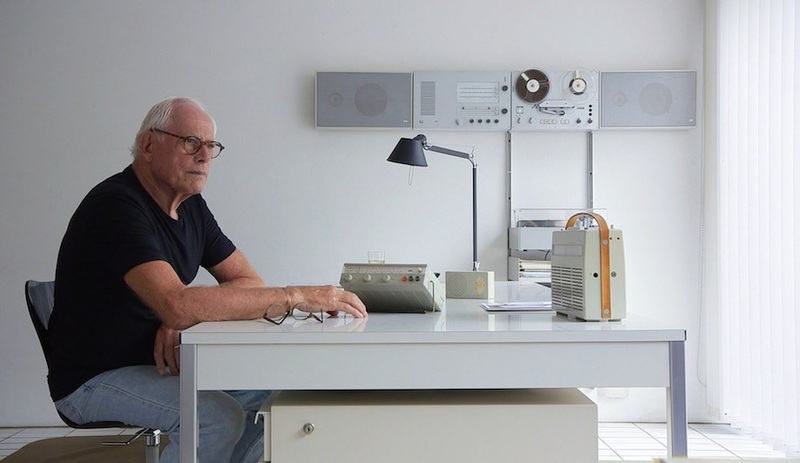 Besides brick-and-mortar stores, he and his team have launched such auxiliary projects as collaborating with architecture firm Partisans on sculptural pipes and building showrooms inside shipping containers. 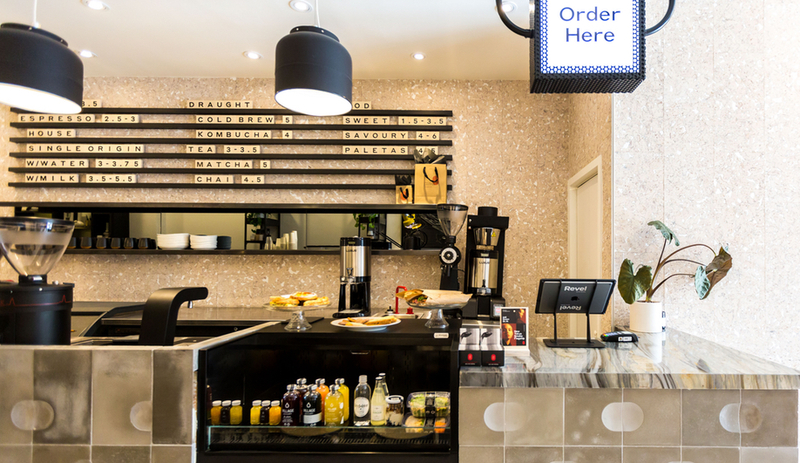 The company’s most striking interior can be found at 668 Queen Street West. Developed in partnership with DesignAgency – the local firm behind many of Generator’s global hostels – Tokyo Smoke is intended to feel “like a haven in a fast-moving city,” according to DesignAgency principal Anwar Mekhayech. And it does. 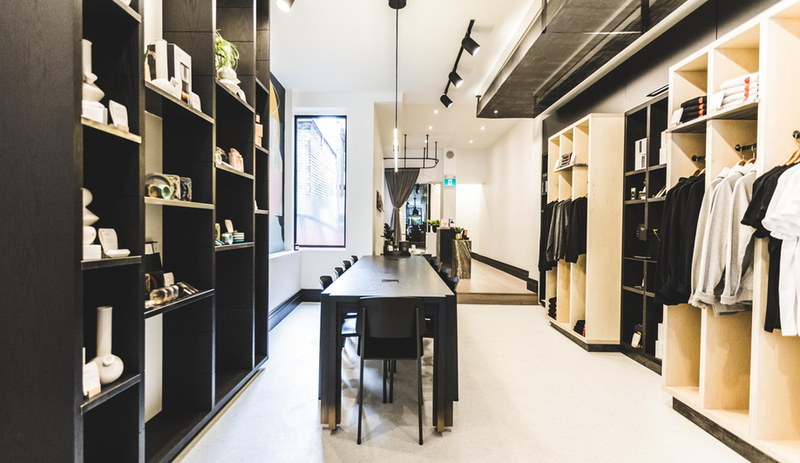 A purveyor of coffee and marijuana accessories, the eclectic interior is anchored by a coffee bar made from concrete tiles, each bearing Tokyo Smoke’s pill-shaped logo. 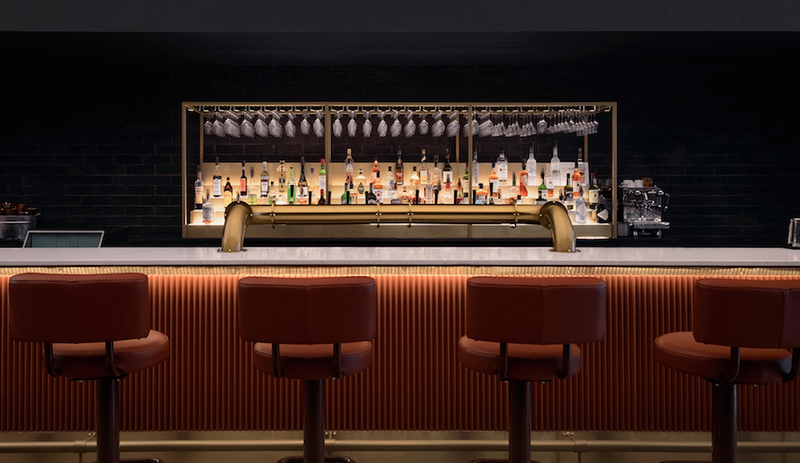 The rest of the interior is defined by smoked glass mirrors and hot-rolled black steel shelving for displaying paraphernalia for smoking and brewing. 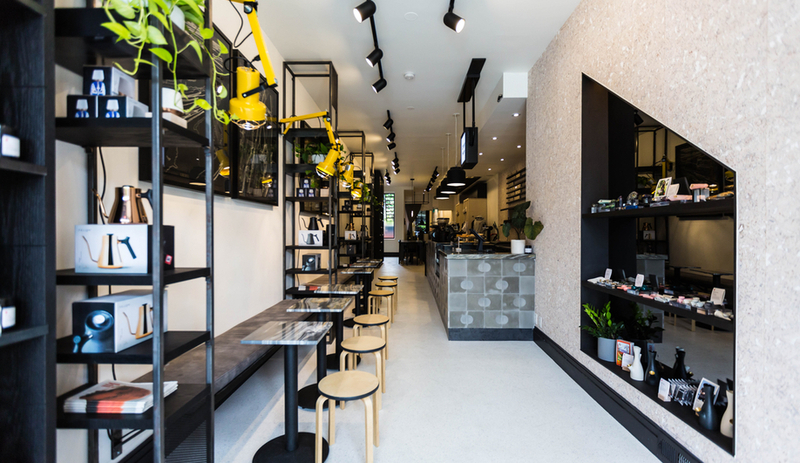 Yellow industrial lamps and vinyl flooring, materials more commonly found in laboratories than dispensaries, has the DesignAgency stamp, of crafting a stylish yet comfortable interior.